It's Friday afternoon, you've made it through the long week, and it's time for Happy Hour, Gizmodo's weekly booze column. A cocktail shaker full of innovation, science, and alcohol. Today we're drunk AND high. When alcohol is present in the blood, it interferes with hemoglobin's absorption of oxygen. Because higher altitudes have less oxygen in the air to begin with, it is thought that the effect is magnified, so you get even less oxygen to your brain. People are advised to not drink for roughly 48 hours after they arrive at a higher altitude. It sounds somewhat reasonable at first. But if that were strictly true, everyone would be affected by it, whether they were acclimated to the elevation or not. Having spend three (rowdy) years of my life in Denver, I can tell you that some people seem mildly affected, and some don't seem to be affected in the slightest. Other people are just drunks at any elevation. More scientifically speaking, an Austrian study done in the 1990's which found that there was no real difference in the blood-alcohol content (BAC) of people drinking at sea level and those at 10,000 feet. That said, the researchers did find a possible culprit. Altitude sickness affects many people who travel from sea level to a higher elevation. Again, it affects different people in different ways, including no impact at all. There are various symptoms, including dizziness, lightheadedness, fatigue, drowsiness, weakness, nausea, unsteady gait, and a headache. Sounds familiar, right? Yeah, the symptoms of altitude sickness are a lot like the effects of alcohol intoxication. Staying hydrated can help you avoid the massive headaches and other foul hangover symptoms you get when you tie one on. 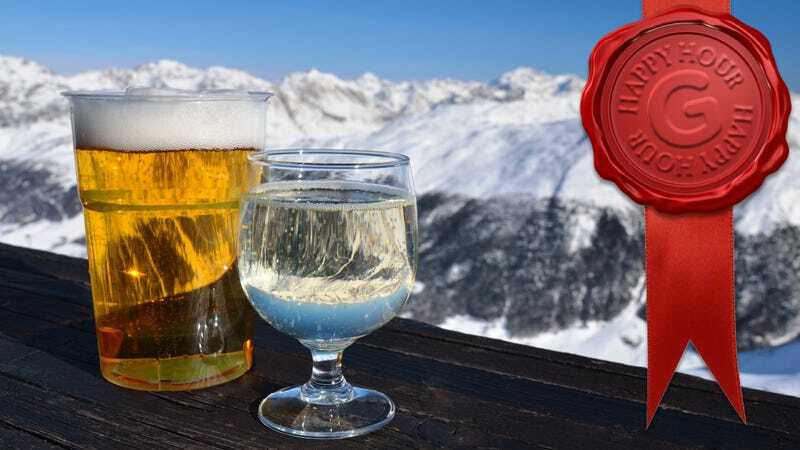 Higher altitude locations typically have much less moisture in the air—and alcohol is a dehydrating diuretic—so you have to drink more than just the "one glass of water for every drink" you'd normally strive for at sea level. Dehydration will only compound the symptoms of both drunkenness and altitude sickness. Pre-hydrate and continue hydrating while drinking and for a while thereafter.